The U.S. Supreme Court’s decision to strike down two key restrictions on Texas abortion clinics is sure to reignite the legislative fight over access to the procedure — and emotions are running high on both sides. What does today's ruling mean to you? 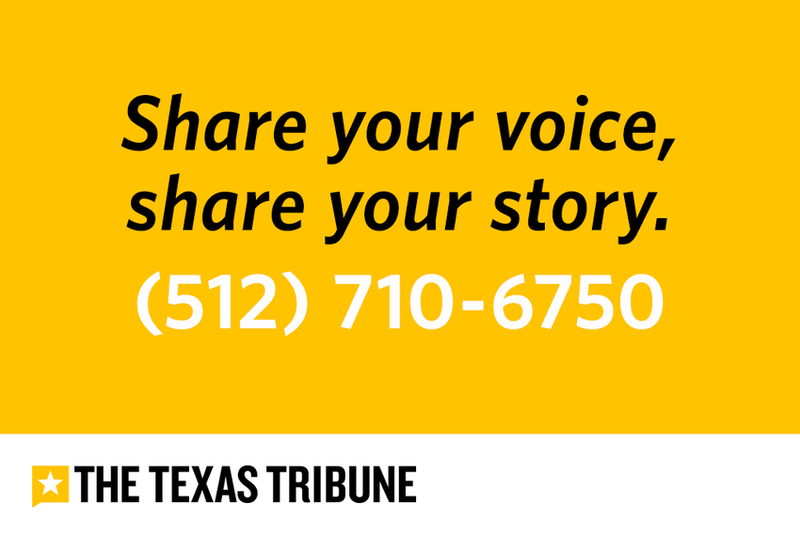 Tell us about your experiences with women’s health care in Texas, or your reactions to the landmark decision, by leaving a voicemail message on our reader hotline (512-710-6750) or tweeting @TexasTribune with the hashtag #HB2ruling. We may include your story in this week’s TribCast or in our future reporting on the issue. For more on this story, see how the Supreme Court ruled on Texas’ abortion clinic restrictions, how Texas lawmakers are reacting to the landmark decision, and what the ruling means for Texas women.